Communication is one of the most important skills a project manager has to have since most of their work entails conveying plans, strategies, project flow and the like to ensure the project is going smoothly or things are getting done. There are different kinds of communication that a project manager could use and they are the following: verbal, written and visual. Although all types of communication are equally important, it is essential that message has been effectively sent at the same time received with the correct understanding. However, since one’s perception and acceptance of the message could differ from person to person, it is said that visual communication could be the best option and is said to be the most effective. In order to make visual communication easier, tools were created and one of the most popular tool created to assist project managers is the Microsoft Visio. This program has earned great reviews and users are happy with its functions and templates such as diagrams, flowcharts, organizational charts and many more. However, though Microsoft Visio has great reviews in terms of functions, there is still room for improvements such as its customer service and integration of other software or programs. Known as the Norwegian version for Microsoft Visio Alternative, Ardoq is popular with architects, project managers, business owners and developers. This software ensures it translates one’s ideas, plans and information into useful and easy to understand charts. Ardoq offers the ability to create a portfolio and has a project management system wherein one could monitor the status of a project/s and how long would a project go. Like Visio, you could create charts that contains process flows and diagrams such as sequence and relationship. If you need a certain format of your presentation, Ardoq has its in plugin editor. To access it, all you have to do is to type in your code and the software shall cater to your needs. Ardoq has a free trial for a certain period and paid subscription. Though ConceptDraw Pro 11 could be used as standalone program as an alternative Microsoft Visio, this software could do more amazing work if it is integrated with Project. Once you have access to Project, all you have to do is input your data. Then ConceptDraw Pro will transform it to a template that you need. It could also export and import numerous file formats and could update automatically data. Aside from transforming your data into beautiful templates and charts, the ConceptDraw Pro 11 could make your data and charts into presentations. With this, you will no longer have to leave ConceptDraw just to make a presentation on Powerpoint. A program that runs similarly to Visio, Creately exceeds expectations in terms of its numerous diagram templates and compatibility to OSes. Creately could be accessed and used on Windows, Linux, cloud and Mac. This software also allows collaboration software online for free, revise history, use Google image search and shared project libraries. Downside of Creately though is it does not have a great customer service. If you come across some difficulty, you will need to research the net for video or written tutorials. Straight to the point, Draw.io offers simplicity in creating your graphs right away. It does not have that login procedure to access this software. Open the program, create your graphs and diagrams, save your work and exit are the only things you have to do when using this program. Draw.io offers the use of basic diagrams and could work with cloud, Dropbox, Jira and Google Drive. This program offers both free and paid versions. Should you choose the paid version, you will be allowed to access diagrams through Confluence. It also offers for multiple users to collaborate real time and allows you to export HTML, PDF, JPEG and PNG files. Lastly, this program also allows you import more diagrams in Visio, Gliffy and LucidChart. Huge companies such as IBM, Twitter, Pandora and Verizon are just a few that uses Gliffy as their tool in creating and communicating their ideas through diagrams. Gliffy is user friendly and uses drag and drop which could be easily learned by anyone. Gliffy does not have a lot of templates which you could choose from but this is compensated by its customizable feature. This software is compatible with Jira and Confluence. Lucidchart is another program that numerous huge, popular companies such as Ernst &Young, Accenture, Harvard University uses. Lucidchart is easy to use and has great customer service. It offers free version which allows you to create up to three documents with 60 objects. Though free version gives you limited usage and features, its paid version offers value for your money in terms of its impressive collaborating features, revision history, group chat, layering options, import, export ability and usage of presentation mode. Are you comfortable and used to using Microsoft Visio or other Microsoft products? MyDraw gives you the same comfortability and minimal adjustment level to learn its functions. Similar to Microsoft, MyDraw also has similar functions such as text alignment, review and arrangement features. It is easy to use and offers about 100 diagram and shape options and themed templates. 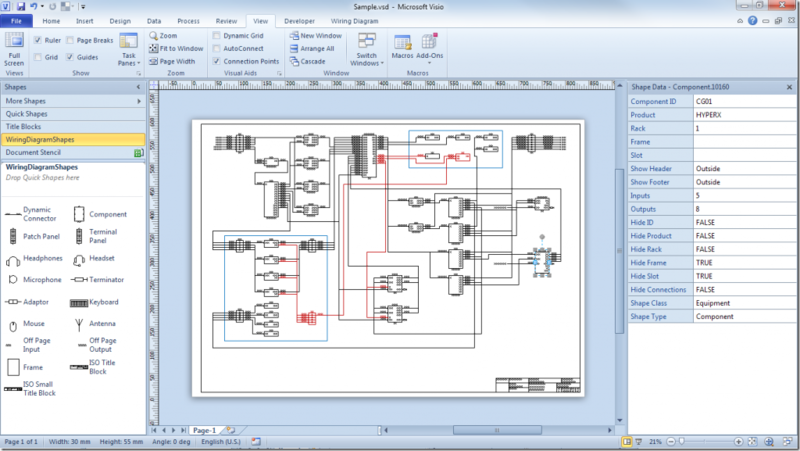 This software also has drawing tools which allows the flexibility of creating your own diagrams. Clients of MyDraw could also use customized barcodes to create accounts and maps. This software comes in Bulgarian, English, Chinese, Russian, Spanish and Portuguese languages and is compatible with Visio. For Apple lovers, Omni is a familiar project management software for Mac. This is known as the Visio version for Mac. It has a Photoshop feel and is easy to use. One could customize their images with masks in replacement of saving, importing, repeat and cropping. It also has its popular classiness that Apple offers with all its products. This software offers basic and Pro subscriptions. It is compatible with OmniPresence and could be used on Mac OS X. A software which formats your work automatically, SmartDraw proves to be one of the easiest software to use. It allows you to customize your work and provides numerous templates you could choose from and takes into consideration the theme one would need whether you are a businessman or a student or you are in manufacturing industry or in architecture. It also offers unlimited storage through cloud and allows its users to save files on their computer or other third party cloud providers such as Google Drive, Dropbox, OneDrive or Box. You could also share files and ability to use revision history. SmartDraw allows one to import, export and modify Visio files and Visio stencils. This program is compatible with Microsoft, Confluence, Jira, Trello and G Suite. A Mac-like software, Textografo is known for its simplicity, minimalistic and multi-tasking tool- program. Just type your text where you wish to see it and it will automatically be seen on your screen. 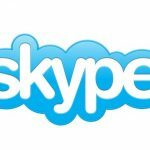 It offers real-time collaboration and addresses your challenges and concerns about this program/software through its 24-hour support. Textografo is compatible with API, Google Drive and Confluence. Though Microsoft Visio has proven its importance and effectivity to project managers, there are a few hiccups which one could find Visio unable to address. With the list above, software alternatives were provided which could help and give you if not the same, better service and outcome. We hope this article has helped you in your diagram and communication tools that you would need in making your project outcome effective and efficient.